Walls, carpet, circular bench, video, sound. 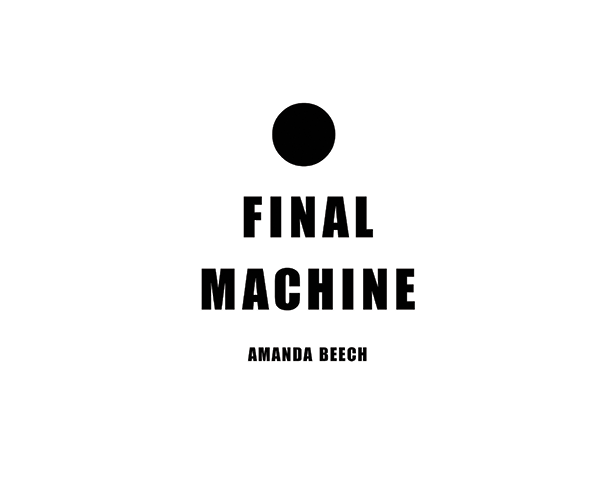 FINAL MACHINE pushes the viewer through the gallery space, into a choreography of sound, visuals and physical forms and steers them under a relentless narrative of indoctrination. Three walls; Three ‘circle’ zones: from red, to yellow and then to green. The video navigates the wasteland of the Mojave Desert, targeted shots of arcane edifices in dense jungle landscapes, trailing cars through night-time Miami and is intersected by serene and balletic graphic imagery and abrupt aggressive ‘bullet points’. Together, the visual material emphasizes the groundless and mobile force of the negotiated image. The work questions dogmatically and directly: How it is possible to engage art as a site of realism that would annihilate our faith in the art and politics that we know as our bad habit? Contributors: Gregory Burke, Peggy Gale, Sylvie Fortin, Erik Bordeleau, Brian Masumi, Erin Manning, Toni Pape, Roland Rose-Antoinette, Adam Szymanski, Alanna Thain, Mark van Schlegell, Gene Moreno and Benjamin H Bratton, Richard Rigby and Marilou Lemmons. 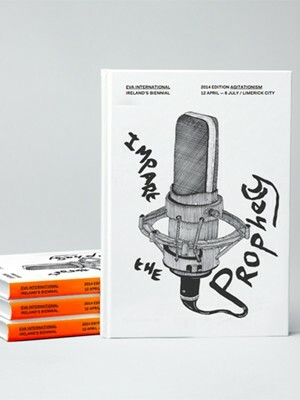 Contributors: Bassam El Baroni "AGITATIONISM Cypher"
Amanda Beech "Treason without Guilt: An Alternative Realism"
Brian Kuan Wood "Is it Love"
Jean-François Lyotard "Ticket to a new Décor"
Artist profiles: Bisan Abu-Eisheh, Doa Aly, Kjersti G. Andvig, Martí Anson, Amanda Beech, Ann Böttcher, Jenny Brady, Benjamin de Burca & Bárbara Wagner, +billion-, Luis Camnitzer, Chimurenga, Jacqueline Doyen, Tom Flanagan & Megs Morley, Zachary Formwalt, GRRRR, Nilbar Güreş, Rana Hamadeh, Siobhán Hapaska, Nicoline van Harskamp, Cécile Hartmann, Malak Helmy, David Horvitz, Luis Jacob, Jeffrey Charles Henry Peacock, Ramon Kassam, Patrick Jolley, Hassan Khan, Per-Oskar Leu, Alon Levin, Sofie Loscher, Mona Marzouk, Pauline M'barek, Asier Mendizabal, Metahaven,Nastio Mosquito, Catalina Niculescu, Seamus Nolan, Mark O'Kelly, Uriel Orlow, Neša Paripović, Michael Patterson-Carver, Garrett Phelan, Elizabeth Price, Raqs Media Collective + Iswanto Hartono, Eva Richardson McCrea, Walid Sadek, Miri Segal, Ann-Sofi Sidén, Praneet Soi, Paul Tarpey, Stefanos Tsivopoulos, Humberto Vélez, Carla Zaccagnini. Final Machine, 2013. Still, Three Channel Video Installation. Final Machine, 2013. Still image. Three Channel Video installation. Final Machine, 2013. Three Channel Video Installed, Lanchester Gallery Projects, 2013. Final Machine, 2013. Installed at EVA International, Ireland, 2014. Photo Credit: Eamonn O'Mahony. Final Machine, 2013. Three Channel Video Installed. Lanchester Gallery projects, March 2013. 2013 Agitationism, EVA international, Irish Biennial. Limerick, Ireland curated by Bassam El Baroni. 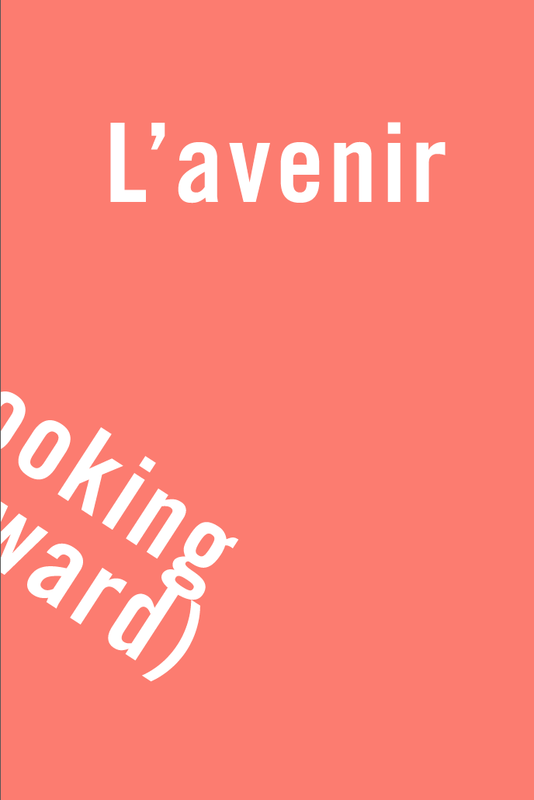 2013 A’venir, Looking Forward, Montreal Biennale, Montreal, Canada. Curated by Gregory Burke and Peggy Gale. 2013 The Objects of Culture, Duo show with Alison Jones, Ha Gamle Prestagard, Norway.